Choosing the best baby sack is important for a mother and this is why we have created a comparison for parents to choose the best sleeping sack for their families needs. I have put together a review of the best sleeping sacks available, that offer the highest levels of care and comfort. The versatility of them makes them ideal, plus for getting your newborn sleeping soundly. Type of material – Some types of fabric and material breath better than others. Cotton, for example, breathes better than polyester fibers, while merino wool does so better than both. This is important to note and when deciding on the best sack make sure to pick one that suits your baby’s needs. 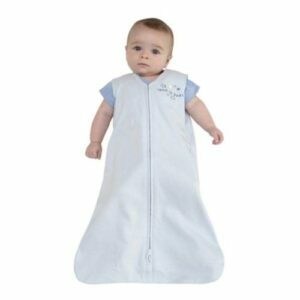 Age – The best time to use a sleeping sack is when they turn 6 months, up until 12, before this time it is usually a swaddle. There are differences in type with age, so the first sack is different from the toddler sleeping sack. Sometimes parents find themselves getting the wrong size and have to either pass on to a friend or return. Price – There is a huge range in price and quality, usually down to the material used, however the well-established brands sometimes can be cheaper while smaller outlets offer unique items but at a higher price. Make sure they are not standing – If your baby is more of a toddler than a baby and they are on the verge of standing, which is not good unless they’re Houdini the famous magician/illusionist reincarnated, then make sure to abandon the baby version. This would be the time to get the toddler sleeping sack, otherwise, accidents might happen. There are loads of different types of baby sacks to choose from, but here is one you’ll love. The beautiful design and sweet shark feature are lovely. 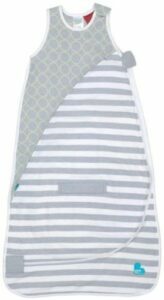 This Sack offers a stress-free sleeping quilt for a mother to enjoy some rest, while this snug as a bug baby has another nap. 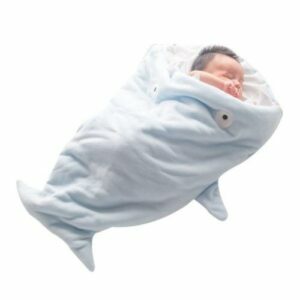 This blanket-style sack is warm, comfortable and keeps them sleeping soundly until they wake naturally. The zip design is easy to use and makes wearing both On/Off very easy and convenient. This will allows your child space to move slightly, but without having to be worried about getting free. The material is fleece (polyester) and is very warm and will keep your child snug. This is a snugly 100% cotton sack and comes in at 0.5 on the TOG scale. There is a large range of colors and styles, but with the easy diaper change, which is accessed from the bottom, this easy to use sack is another great low-end budget buy. This sack has lots of leg room at the bottom to allow them to kick until their heart’s content, but not coming loose, which will keep them warm and snug. The embroidered logo is a good feature, which is a subtle reminder that the baby should be placed a certain way, which is handy when feeling in a rush and short of time. This is an award-winning baby sack and has been rated as a #1 seller in the US and Canada for a number of years, known as “Mom’s Choice Award“. The material itself is of very high grade and quality with Australian wool (merino) and is a luxury grade even hypoallergenic. 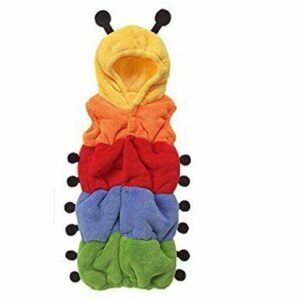 This is highly washable and fire resistant, which GOT’s recommends. This can be used right up until they are 2 years of age and will last the test of time and keep the child well regulated in temperature and sound whilst fast asleep. There is a side zipper and easy to use for diaper changes as well as convenient slots for transfers between mobile devices. This sack is known as the sack that is used in hospitals and comes highly recommended with its 100% cotton, 3 adjustable styles whether that’s both arms out, only one or both in, it’s highly adjustable and ensures a smooth transition. This is a great sack for helping the transition from swaddling into sleep-sacking and still allows them to feel the same comfort as before, which is important. The safety element is great here and the secure sack will not allow any escapes or unplanned events, which is ideal for those with high demands. This is similar and that the baby can be changed from the bottom and diaper changing couldn’t be easier. The sleeves allow for temperature regulation and avoid circumstances on overheating, but again compare the item with TOG before any purchasing. This sack is definitely a bit of cuteness mixed with fun and although I recommended early to avoid sacks with hoods because of the danger factor I wanted to give the option, but with a stern warning, because there is no law prohibiting the use and so a large number of mums would like to have maybe just had a novelty item for a special occasion. The material is faux suede and very warm, but again read the finer details below for TOG rating. The “Love to Dream” sack is the best in my opinion simply due to the high grade of material, easily adjustable setting and whatever the circumstances its design can suit. This is used in many hospitals and is a great baby sack that’ll last the test of time. The “Halo” sack is a lighter sackbut is 100% cotton and with it being on the low-end of the budget the value for money here is fantastic. The spacious leg room will allow their little wriggling legs to be content and the design is subtle be lovely. This is another great sack but if you’re trying to save money, but not lose out on quality then this is your sack. Getting the right material for your child can make the difference between comfort and overheat, so spending a little extra care in choosing the right material is important. Some babies will need to wear clothing underneath, while others will need nothing but a nappy for example. Some clothing offers more durability than others, more washes, so making sure you know that sometimes quality does last the test of time, especially because of the amount of washing that will be getting done, cycle after cycle has its toll on the product. There are various systems of measurement for thermal efficiency and below is the TOG used as an international standard of measurement. This will ensure that your baby gets the right material for their climate and for those who are not sure the description makes this easy to use and follow. Safety – Sleeping bags or sacks with hoods can be dangerous, just in case the hood covers the face and suffocates, however, this is extremely rare and not likely.